So long story short. I bought an xbox one s in February of last year. 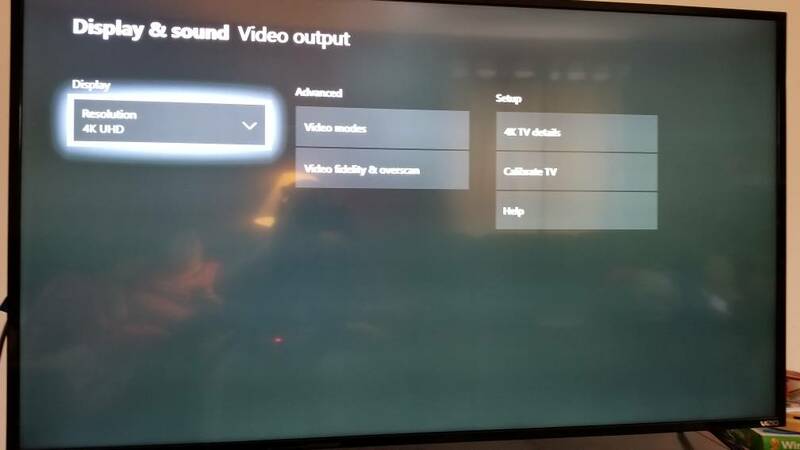 I purchased a Vizio e55-e1 4k tv in August of 2017. Around April of 2018 my console would flicker while loading and at my home page. I called Microsoft and got a repair order started. I had to do a factory reset prior to sending it in. By doing so the flicker had stopped so I didn't send it in. Fast forward two weeks ago and it was doing it again. Sent it in and got it back Thursday. By Saturday it was doing it again. I went to the Microsoft store on Saturday and did a swap for a new console. Come Saturday night it was doing it again. Turns out that the Vizio I purchased isn't compatible with Xbox one s for gaming. Here's the strange thing, I have it on the 4k setting now with no issues. Here's some screen shots. Any advice besides buying a new tv? Yes it's the xbox ones s and it upscales to 4k. 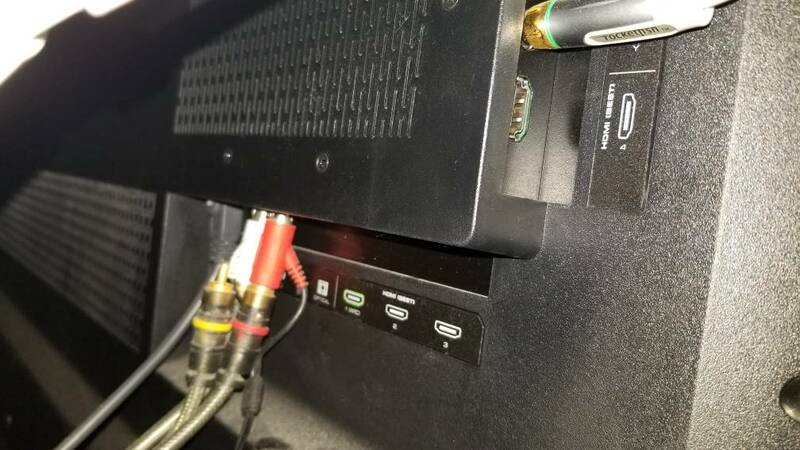 Check the HDMI port you are using. 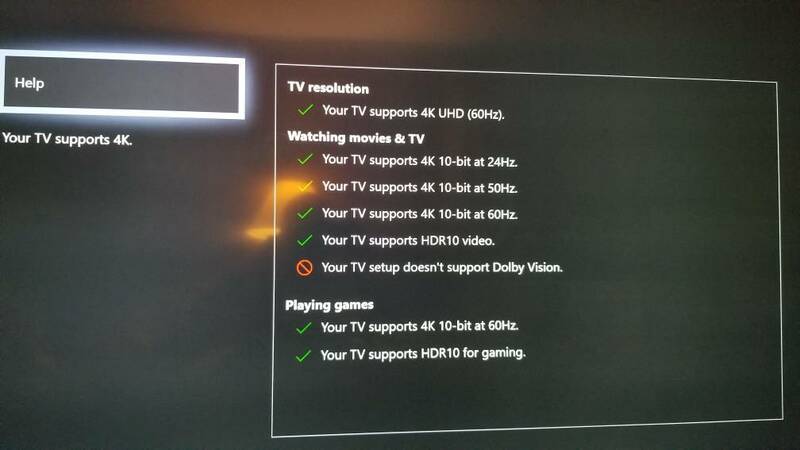 I have a 4K vizio TV and not all of the ports support 4K. I think mine has one 4K port and the rest are 1080P. Edit- Just checked your TV specs. It has 1 2.0 HDMI and 3 1.4 HDMI. You want to make sure you are using the 2.0 port. 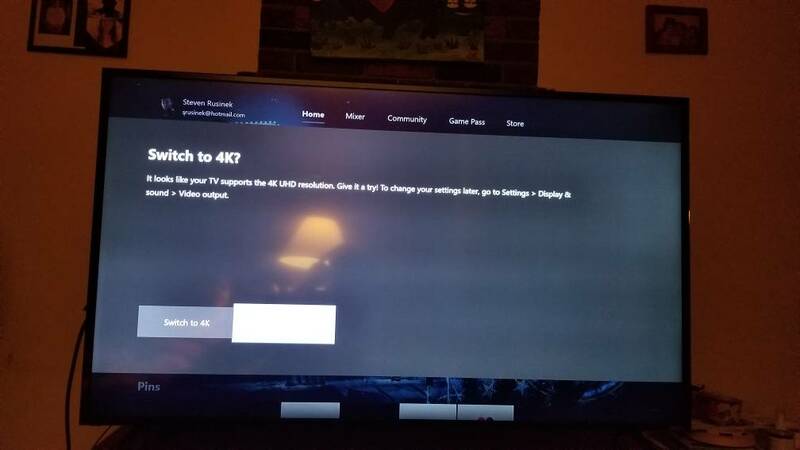 On my tv it says that hdmi 2 and hdmi 4 are best. I have a high speed hdmi cable that's made by rocketfish. Today I purchased this hdmi cable to eliminate that variable. It would flicker with a different hdmi cable and a different hdmi port. I will look into the specs of my tv to see which one is the 2.0. Thanks for the replies and the advice. Edit: Sure enough with the help of Google the hdmi port 1 is for 4k resolution only. I will try this and report back. 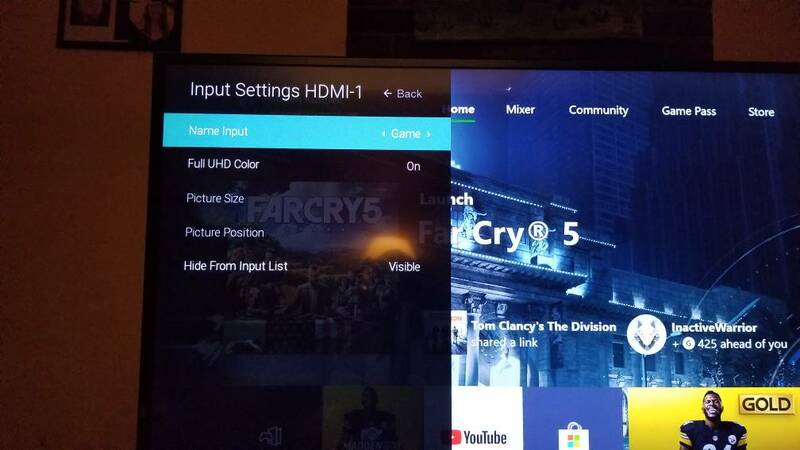 So I just went downstairs to check to see if hdmi 1 was for 4k gaming and sure enough it is. 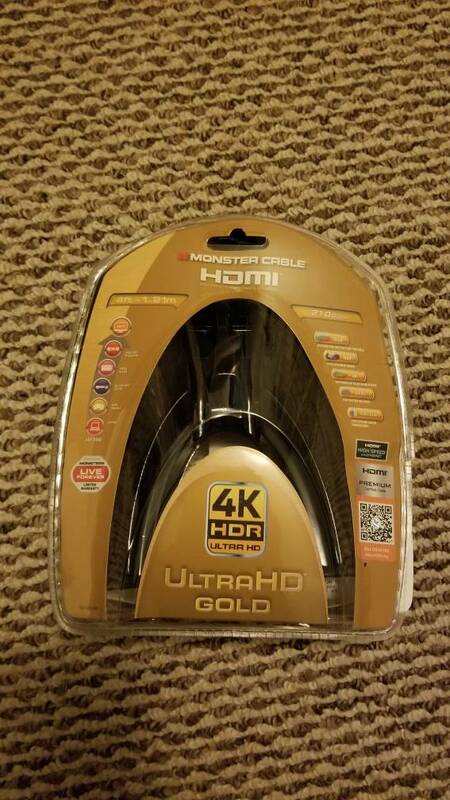 As you can see in the pics I've provided that the average person would think that hdmi 2 and 4 would be for 4k gaming and watching since they say best. When I googled what arc was, there was no mentioning of that being the 4k input. Just further proof that guys don't read directions. Here's the pics and thanks again. Actually it started to flicker again when on 4k. It works perfectly fine on 1080. I called Vizio last night and they think it's my xbox which I highly doubt since it's a new unit. They have some suggestions on their support page I'm going to try. Just very frustrating knowing that this is a 4k tv and shows as such on my console video output details. 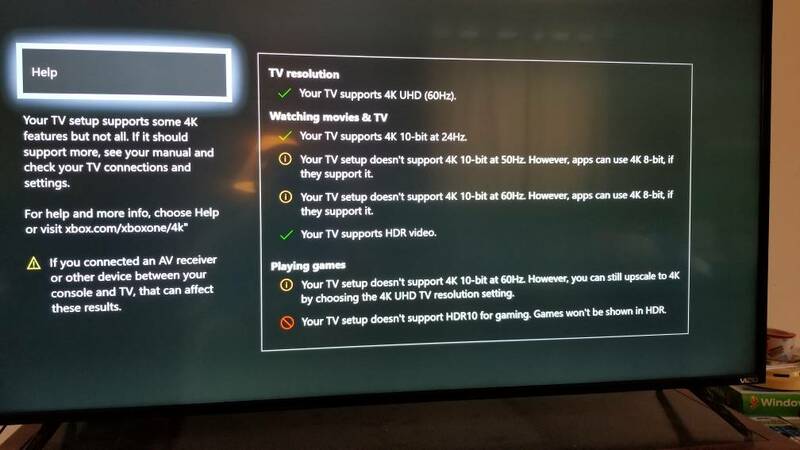 From what I've read, the PS4 pro is having the same issues with other tvs.